Q What is the status of the Red Dwarf movie? A In the early 2000s, there was a Red Dwarf movie in active development, but for various reasons it never entered full production. 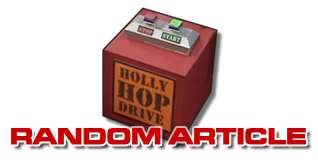 You can read more about this project, and view storyboard artwork, here on reddwarf.co.uk. Since the show returned to television, this has no longer been an ongoing concern - although should this ever change, of course we'll let you know. Q Will there ever be another Red Dwarf novel? A Although not currently actively planned, there always remains the possibility that the Red Dwarf story could be continued in this form. If it does, you'll hear about it here. Q Is there going to be a Red Dwarf stage show? A A live stage project has been under consideration at various times in the past. At the moment no such project is in active development, but if that changes... well, as above. Q Was there an American version of Red Dwarf? A In 1992, US broadcaster NBC commissioned a pilot for a US adaptation of Red Dwarf. Produced by Linwood Boomer - creator of the hit series Malcolm in the Middle - and scripted by Rob and Doug (albeit with heavy studio interference! ), the pilot was based on the script for The End, with the addition of Kryten written in to be on the ship from the beginning. Robert Llewellyn reprised his role alongside Craig Bierko as Lister, Chris Eigeman as Rimmer, Hinton Battle as the Cat and Jane Leeves as Holly. The pilot ultimately proved unsatisfactory, and was not picked up for a series. Shortly afterwards, a second low-budget "promo" pilot, with a recast Rimmer (Anthony Fusco) and (female) Cat (Terry Farrell), mixed new footage in with clips from the first pilot, but this also proved fruitless. 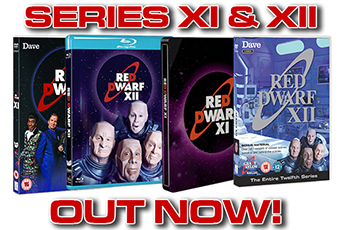 The full story of this ill-fated venture is told in the "Dwarfin' USA" documentary on the Series V DVD. Q Did Red Dwarf originally start on the radio? A The original premise of Red Dwarf was based loosely on a series of sketches written by Rob and Doug for their 1984 Radio 4 series Son of Cliché. Called "Dave Hollins: Space Cadet", the sketches followed the misadventures of the last human being in the cosmos, and his computer Hab. Some of the plot and jokes of Red Dwarf's early series were drawn from the original sketches, albeit with some changes in detail. You can hear some of "Dave Hollins" on the Red Dwarf DVDs, and Son of Cliché is occasionally rebroadcast on BBC Radio 4 Extra. Q Is there a CD of Red Dwarf music? 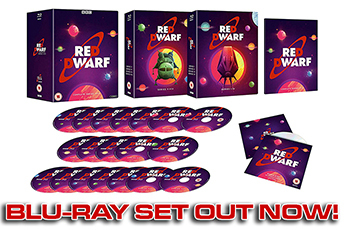 A Rights issues have prevented the release of a physical CD of Red Dwarf music in the past, and any CDs of incidental music offered online are unofficial and unauthorised. However! You can now buy a specially remastered selection of underscore from across the entire run of Red Dwarf as a digital-only release, courtesy of Howard Goodall. Q What are the lyrics to the show's closing theme tune? The apparent non-sequitur of these lyrics actually refers to Lister's dream, stated in the first episode, of retiring to a farm on Fiji. The theme was composed by Howard Goodall and sung by Jenna Russell. There are actually two slightly different mixes of the closing theme employed across the first six series - see if you can spot the differences! Any additional verses you may hear on alternative recordings, such as those found on TV soundtrack compilation albums, are unofficial and should not be considered canonical parts of the theme. Q What are the lyrics to the show's opening theme tune? A Although long thought by fans to be an entirely instrumental piece, it was discovered - and later confirmed by Howard Goodall - in 2016 that the version of the opening theme used from Series III onwards actually includes a distorted vocal line, with Goodall himself singing the words "Red Dwarf". Go on, listen closely and see if you can spot it. Q What is the title of the first novel? A Upon its original release, the first book was simply titled Red Dwarf. However, the text on a sign shown on the front cover illustration - "Infinity Welcomes Careful Drivers" - became the book's official subtitle in later editions. As such, the book is now usually referred to by the full title Red Dwarf: Infinity Welcomes Careful Drivers, often shortened by fans to simply IWCD or Infinity. Q Do the novels take place in the same continuity as the TV series? A The Red Dwarf novels tell an alternative version of the story, expanding upon events and also changing various details as befits the narrative. They should therefore be considered a separate, standalone continuity - although some elements first introduced in the novels were later retrospectively folded into the TV series' backstory. In a suitably Red Dwarf-ish twist, furthermore, the two "solo" novels - Doug Naylor's Last Human and Rob Grant's Backwards - each tell their own separate version of events following the conclusion of Better Than Life. As such, each of these books should also be considered as part of a distinct canon from the other. Fortunately, in Red Dwarf, there are an infinite number of parallel universes, and so any and all continuities can be considered correct and/or canonical! Q Why has Universe Challenge not been released on DVD? A Rights issues mean that this quiz show special is the only part of 1998's BBC2 themed Red Dwarf Night not to be released on DVD. This is sadly unlikely to change in the future. Q What is Geek Chase and how do I play? A Geek Chase is an online 'treasure hunt', originally created to promote the Beat the Geek DVD and now available to all. The object is to find the email address of Kryten's creator, Professor Mamet. You start with just one website address - www.divadroid.info - and the rest is up to you. You'll find a hints and tips section on each specially-created Geek Chase site. If you're really stuck and need a hint, you can read a full walkthrough here, but we suggest highlighting one point at a time. That way you should find something you haven't done without spoiling the whole game.